This request forms the final link of the chain concerning Rhodia’s closure plan for the site. The requested documents were mentioned but not suppplied in other correspondence and meetings in this request. The agency responded with the majority of the requested documents. 1.The Operator and Pollution Risk appraisal form for the rattlechain lagoon site. 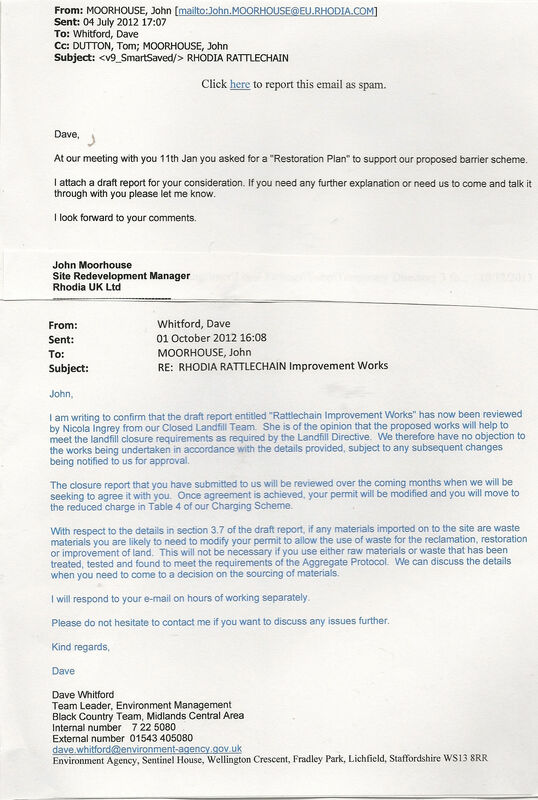 2.The report entitled “draft rattlechain improvement works” that was referred to in an email from Dave Whitford to John Moorhouse of Solvay in an email dated 1/10/12 and which was reviewed by Nicola Ingrey from the closed landfill team. This was supplied, and is titled “ERM IMPROVEMENT WORKS” DRAFT JULY 2012. 3.Confirm if agreement has been reached concerning the review of the closure report for the site, and when this was agreed. to be publicly advertised in the future if it has not been yet applied for? “In response to points 3 and 4 we can confirm that the closure plan for Rattlechain Lagoon has been accepted by the Environment Agency and the site is now treated as a closed landfill. The permit has been varied to reflect this and we have attached a copy of the notice of variation as well as the original permit and modifications. These modifications can be read HERE, and HERE. 5.I am also seeking the revised hydrogeological risk assessment for the site, the revised stability risk assessment report for the site, the revised p44 landfill gas assessment. COMMENTS NOT PROVIDED AS PART OF THE REMIT OF THAT REQUEST. THESE CAN BE READ HERE. 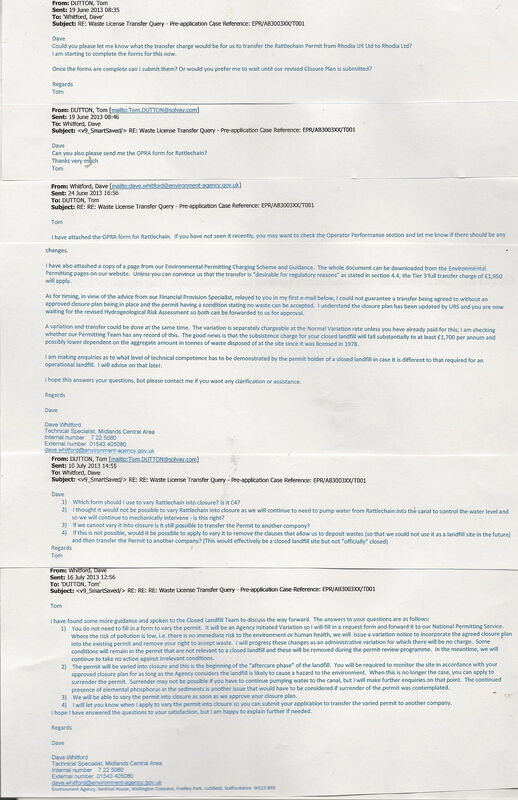 There is no valid reason as to why the OPRA form could not be found, given that it had obviously recently been found by the EA to send to Rhodia. One can draw conclusions from this as to what it may contain to the detriment of this chemical companies operating performance at the site. It may also draw aspersions onto the environment management at The Environment Agency. 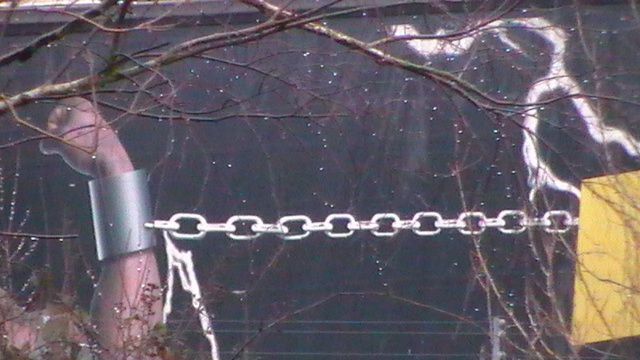 We have looked at the revised p44 rattlechain site procedures and how it compares to the earlier version from 2006 HERE. We have looked at the ERM “improvement works” pdf in more detail. This fills in some of the blanks that we observed during the 2013 works at the site. “The improvement” has to be very limited in terms of what it was really designed to do. The improvement was largely visual in attempt to try to disguise the sites historic waste dumping practices- removal of the waste pipe being the most obvious. We have looked at the updated closure plan documents HERE. The modifications in the licence and transfer to the phoenix company “Rhodia Limited” are largely a semi legal stepping stone without much real importance. The licence has not been surrendered and the conditions at the site in the original licence SL31 remain until then, even if some of them are no longer relevant. 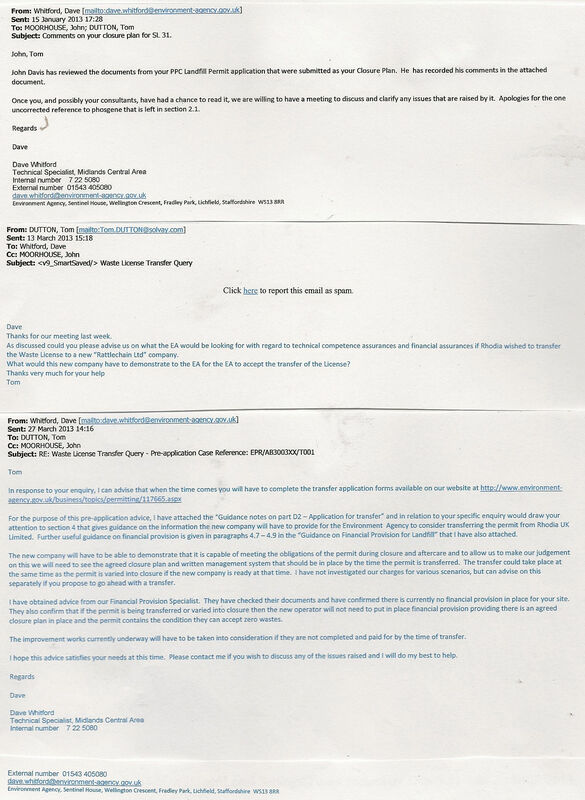 The Environment agency in their reply attempt to close down the route from which we have learned quite a bit more about this toxic death trap site for which they have poorly regulated for the last 17 years, namely the freedom of information request and the Environmental Information regulations. If this information was publicly available to start with and transparent then we would not have had to have asked for it in the first place. We will not stop asking relevant questions about rattlechain lagoon, its management and future.